It’s no fun, but someday you might have to give a customers credit for a return or service issue. Watch the video above and follow the step-by-step guide below to learn how. 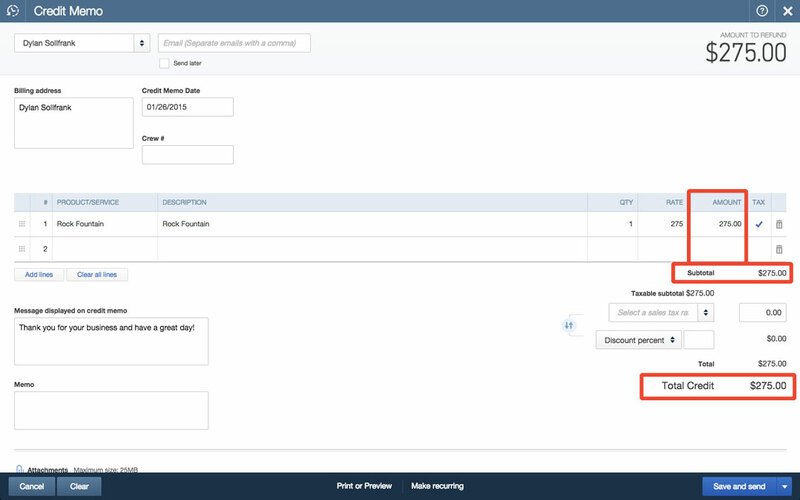 From the + menu, select Credit Memo to create a new credit memo. 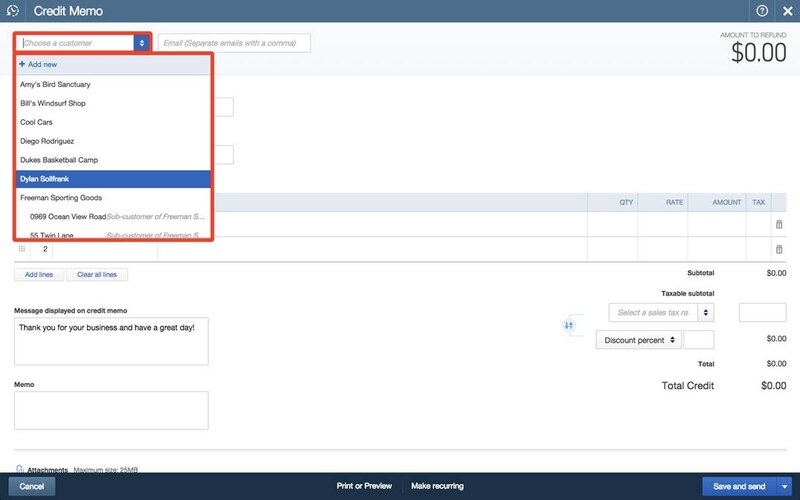 In the credit memo window, choose the customer you’re giving credit to by selecting a customer name from the drop-down menu. 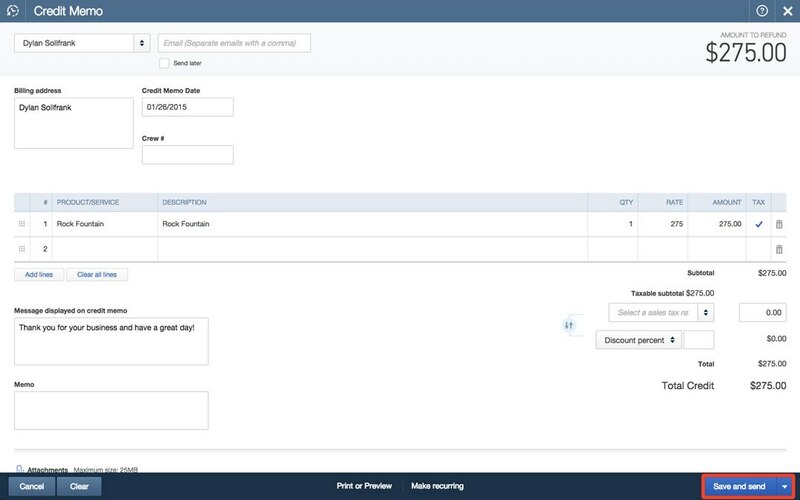 Beneath the column header labeled “PRODUCT/SERVICE” click on the drop-down menu and choose the Product or Service you’re issuing credit to the customer for. Check the Amount column to ensure it’s the correct amount of credit you want to issue to this customer. 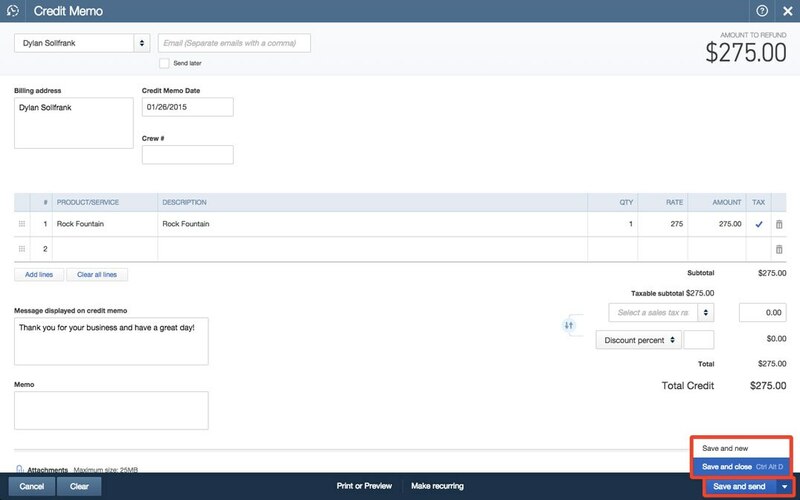 When you’re finished with the credit memo form, you can choose Save and Send at the bottom of the screen to send the credit directly to your customer. 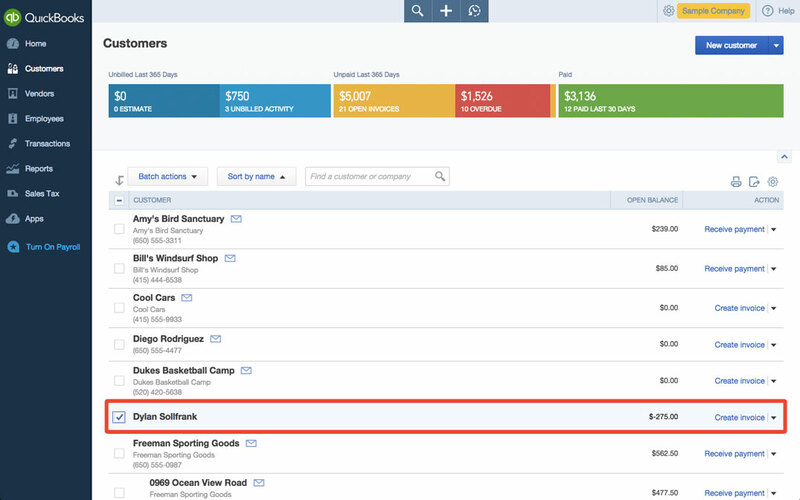 Now you can choose a Gmail contact as the customer or vendor on any of your transactions. 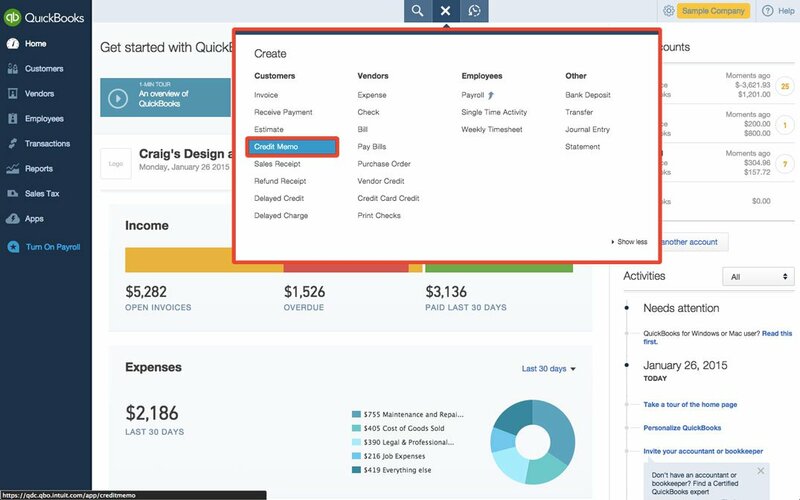 To retrieve this credit memo later, go to the home screen and click Customers in the far left tab to navigate to your Customer list. 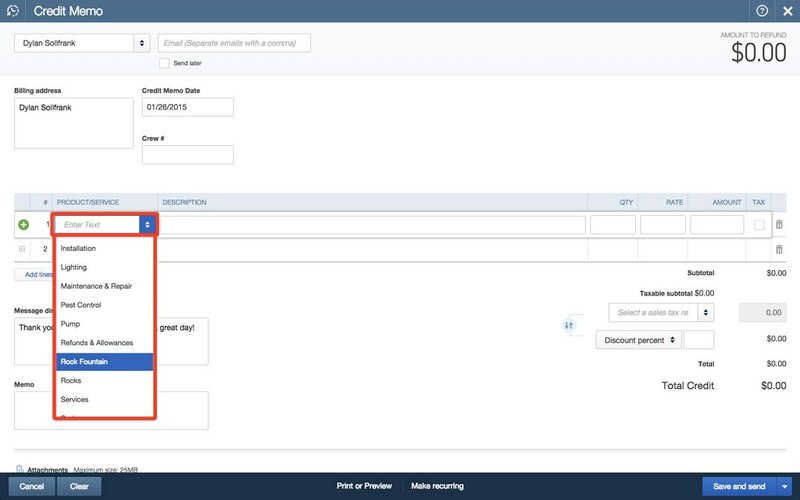 In your Customer list, find the customer you credited and click on their Name to open the Customer detail window. 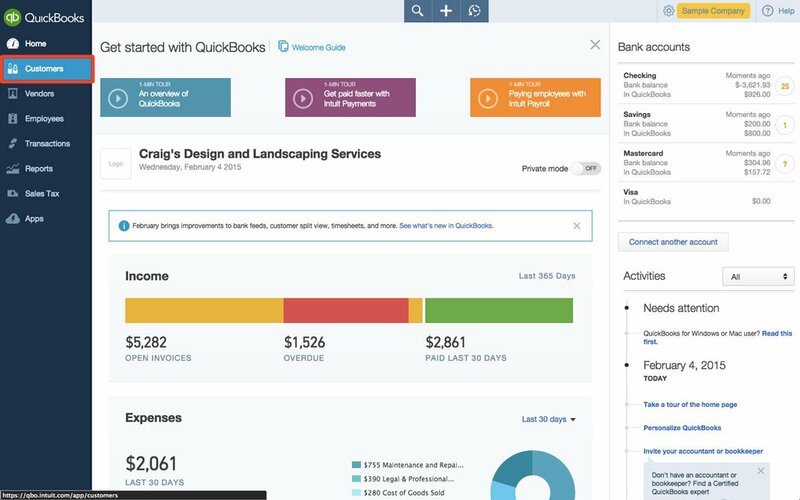 In the Customer detail window, you’ll see a list of all the transactions you have on record with this customer — you’ll notice QuickBooks has added the credit memo at the top of the list.